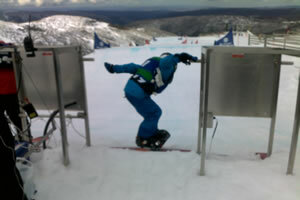 The Victorian snow resort of Mt Hotham is regarded as one of Australia's best ski buffs playgrounds. With varying terrain to cater for most levels of experience it is a premier destination for those in the know. As Hotham is that little bit further from the city of Melbourne there are not as many day trippers and tourists. Mt Hotham on average would get more snow than most of the other Victorian ski resorts. It is an open plan and dispersed village with the main Great Alpine road cutting right thru the resort. Many people, especially families with small children, prefer to stay at Dinner Plain as it can be out of the Alpine winds. 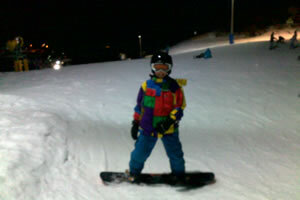 Dinner Plain has a beginner lift and starters area as well as other recreation activities like pool and day spa. For those that want to enjoy the ski slopes there is nothing better than staying on mountain at Mt Hotham. You can jump out of bed and onto the slopes for first tracks. And we found the General Store to have great comfort food in the evening. Most lodges have shared cooking facilities and it also provides for a great social atmosphere. For those beginners getting onto the slopes you can head to the beginners areas of Big D or to the summit beginners area. For the more advanced you can explore a little further afield and even hit the park area off the Summit. The Road Runner cross course is also good fun if open. How to get to Mt Hotham. There are two ways into Mt Hotham by car. From Melbourne you can come from the south along the Princess Hwy and turn at Bairnsdale heading up into the Alpine playground thru Omeo. This is nearly a 6 hour trip from Melbourne city, but if you are from the Mornington Peninsula this route might be preferable. The other route by car from Melbourne is up the Hume Freeway to Wangaratta and turn to Bright and up through Harrietville. Make sure you have booked your resort entry pass. Easiest way to do this is online. Another unique way to get to Mt Hotham is by plane as there is an airport just near Dinner Plain. This airport is serviced by Qantas Link. We stayed down in the Davenport area near the Big D Chairlift and General Store. Prices vary across the resort and timing during the snow season. They smash people with high tariffs during the busy peak periods and then when the demand lightens off it can be much cheaper.